On his forty-fourth country and fourth lap around the world Trevor Gerhardt shares wisdom from the road and how he came to adopt the nomadic lifestyle. Tune in to the very first episode of this podcast for my conversation with Trevor as we chat through his leap of faith shelling out a chunk of cash to an entity that didn’t yet exist and then plunging head-first into the world of nomadic working travel. Trevor shares lessons from the road, gear recommendations, podcast recommendations and stories from his travels. You can find a recent interview with Trevor in Time Magazine here. If you have a question for Trevor leave a comment below and be sure to subscribe to the podcast via YouTube, Spotify or iTunes. 0:04:00	What were the circumstances leading up to you doing Remote Year? 0:09:07	Would you have transitioned to a nomadic lifestyle if you hadn’t done Remote Year? 0:10:50	How sketchy was it to send a multi-thousand dollar check to an entity that didn’t exist at that point? 0:17:40	What was your route? 0:22:22	How did things go with your job and how were you able to stay in sync with the others? 0:28:35	What’s your routine to stay in shape? 0:33:04	Which podcasts do you regularly listen to? 0:35:04	Any gear you can’t live without at this point? 0:40:29	When you switched to solo travel after Remote Year did you encounter loneliness? how did you cope? 0:44:33	Bad decisions make good stories. Was there any particularly bad decision you’re willing to share? 00:00:00 – Sean: Welcome to the very first episode of The Nomad podcast. My name is Sean and I will be your host today. I’m super excited to introduce you to my friend Trevor gerhardt, so Trevor is on his fourth lap around the world having travelled to 44 countries in the last three years, but he wasn’t always a digital Nomad in 2015 Trevor was living in Washington DC. Feeling the itch to change something about his life had recently seen a post on Reddit proposing a vicious experiment that would involve Gathering a group of 75 strangers who take their jobs on the road and do a working Trip Around The World Together Trevor take a leap of faith and mailed in his three thousand dollar deposit check to an entity that didn’t yet exist hopped on a flight to Prague and embarked on what would become the single most transformative journey of his lifetime. So 44 countries and three years later is still on the road exploring the world one country.Time performing his job that you started with and in this the first podcast episode. We are going to talk to Trevor and hear him share stories about his trips abroad insights about how he’s been able to stay successful Packing Tips gear recommendations Fitness advice tons of different insights is going to be very useful to anyone considering this lifestyle. So buckle up. This episode is packed with useful advice from someone who has been there and done it successfully. So without further Ado here is my interview with Trevor. Nomad podcast is supported in part by no math prep and Online Academy that teaches you everything you need to know to take your job on the road and crush it abroad enroll today at Nomad prep and get your first four days of training completely free. No Matt prep. Take your job on the road and Take On The World. All right, welcome to Nomad podcast episode 1. We are here with Trevor gerhardt Trevor. Thank you for being the guinea pig and the first guest on today’s episode. 00:02:00 – Trevor: Sean very excited cool. 00:02:04 – Sean: Yeah, so let me let me paint some contacts for people here. Um and just kind of set this up. So the whole goal of this podcast series what will be a podcast series is really to just demystify this art of going nomadic and you’ve been on the road now for what three years or something. 00:02:24 – Sean: Three years. So like my theory is that there’s a lot of people that are in corporate jobs. In places and you know in a rut, I was interrupted before I left and did this and this has been just absolutely transformative for me going on the road like this as I think it has been for you. So my whole goal here is really to help those people like help make this more accessible to those people who must see us as absolute aliens. Like how do you sell your stuff? And you know, I read your Instagram. You said something like 18 bed changes or 14 bed changes in 2018 so far. 00:03:36 – Sean: which is still crazy. Like we must look like aliens to that person in the 70 corporate job. How do you do this? So really a little goal here is to just like demystify this to make it more accessible and I think the best way to do that is through just having a conversation with someone like yourself who’s done this and been successful at it. So cool. So that’s the backdrop. Um, Trevor I’ll let you maybe let’s start this like, how do we meet each other let you kind of tell the story because it’s interesting. 00:04:01 – Trevor: Yeah, so I guess this goes back to last June. Um, we were both in Central America traveling through Central America. And uh, and I was hanging out with Andrew Cohen and you are either in Nicaragua or coming in their garage. I was already in Agua and I think we were connected first because we both knew Cohen and we knew you were coming coming out already left and so he put you in touch, but I ran the same time I had a uh kind of like a post to the citizens Channel, which is that people that have finished remote here. Uh, uh, seeing if anyone want to join me in Lisbon for the month of August and you were one of the first people to reach out and so like right around the time that we started chatting about the house. You got to Nicaragua San Juan Del Sur, like maybe a few days after that week after that. So it was pretty perfect timing to like meet and hit it off there might I get that correct. That’s that’s right. Yeah. 00:05:00 – Sean: Yeah, absolutely. I was in uh, Playa Grande Costa Rica a surf camp and I think yeah you had thrown out on slack and then so I connected and then and we kind of gelled like the three roomies and then literally like a couple days later Cohen made that connection and he’s like, oh there’s a drive-up. It’s two hours away should just go to San Juan Del Sur. Yeah. That’s pretty cool. 00:05:23 – Trevor: Yeah, it’s funny like the timing of like are both in the same part of the world and we’re connecting because we’re both gonna go to want to go to Lisbon at the same time. It’s just that that but things happen all the time now. 00:05:33 – Sean: Yeah well and there’s so much commonality like the kite surfing and Tim Ferriss. Like I feel like we very much Fitness like very much run in the same kind of vain. All right, so you were part of the original remote group they call him the ogs. Um, yeah talk to me. Like, when did you leave talk to me about like the circumstances of how that came to happen? The current CEO of the company in one of the founders Greg Kaplan. Uh, I think he’s too busy to do individual interviews anymore for people that want to go on the trip. They have a they have a whole team for that. 00:10:45 – Sean: yeah because you guys were some my program started in May of 2016 and you guys were basically at the tail end of your year. Do you think he would have done it had remote year not existed. Like you said you’re perfectly capable of doing it, but it was Like this was the Catalyst that made you actually pull the trigger and go for it. 00:12:55 – Trevor: It was it was so I I remember having conversations like this with with my friends because the first thing we had to do is send you know about multi-thousand dollar down payment down for the year. And so remote your costs twenty seven thousand dollars per year, uh, since two thousand dollars per month and they give you they make you pay $3,000 up front and that’s how it was for us. I think they might have changed slightly, but I still think it’s twenty seven thousand total for the year. And so, you know at the time I had met the CEO who’s the guy exactly my age, you know from Chicago, uh, I met one other employee. I just chatted with uh our program leader at the time and I was I was talkin to friends and my colleagues my boss about it and you know, they you know, they look at the website. It’s like a square space that you can set up in five minutes, you know types of copy out, you know anyone could have done it. Uh, and you know, I’m sending a three thousand dollar payment to someone, you know, maybe month and half or two months ahead of time. It was it was definitely there was there are moments for um, it’s it was just it seems sketchy. It seemed like I could never see that money again, and it seemed like I could show up in our first destination which was Prague and there would be no one there. Uh, and you had that but it was such a small small amount of uh, you know, negative feeling there because the overall excited it’s completely out waited. So once once I I think it was right around the time when I got the acceptance letter and I was I was working through some contracts issues with uh with one of our potential contract with one with a client, uh, which I would have been a major part of. Uh, I remember walking out of a meeting. I was actually I’d broken my leg, uh in like a month or two before it. Uh, these interviews happened or about a month before this interview happened with Greg and so I was housing crutches at the time. I was really kind of miserable in the DC winner. I remember walking out of this meat or crunching out of this meeting, uh with my my boss Kevin and I think you know the deal fell through it was kind of like the last thing that I was even thinking about that we could have possibly prevented me from here. And that was what I told him, you know about remote and that I was probably going to go on it. And so we had this, you know, we had this like an emotional few days working through this potential deal with a client and uh, since that didn’t work out which was fine in the end. Very good in the in the end. Uh, I was like, well, I guess I’m going over here, which is just a it was one of those moments that I’ll never forget like that that crazy feeling we’re like, I’m gonna make this leap and it’s gonna be crazy and it’s gonna be life-changing but I don’t I don’t know how crazy life chain to get the time. Uh, but it was pretty pretty special time. 00:15:38 – Sean: So you broke your leg right before you go in on a thing that where you going to be to be walking every day for a year. Yeah. I mean that’s got to be scary to be starting out the year that way. 00:17:27 – Sean: I think you and I both are pretty into fitness and we actually started Group in Prague as well. Um, I can’t imagine I did the math on my Apple Health meter thing steps for the year. I averaged four miles a day walking. So I guess not imagine going into that the broken leg and being like it’s already kind of like who knows what this is going to be. Is there going to be any one waiting for us at the airport and then like adding that variable to it? Yeah, pretty crazy time. 00:17:53 – Trevor: Yeah, if it takes like the uh, like the apprehension that we might have had about this down payment everything I was I was the first person to arrive in Prague for our trip. So, uh arrived maybe eight o’clock in the morning and the reason was because I had like a stupid layover in London. And so, you know, it’s flying in Sunday morning the Prague but like a 12 or 16 hour layover in London, so I was flying into London like 5 a.m. Uh, so I arrived in Prague first one and Mark Johnson good volume that you’ve been also, uh, it was the second one arrived and so Hannah, uh program leader and Greg Kaplan, enter from over here and there to meet us, you know, they had signs and everything has a cute took pictures. It’s exciting and uh, they put they put us into a cab when Mark showed up like maybe half an hour 45 minutes after I did and the first thing we asked each other was so is this real like I did they just take our money or we never gonna see them again. Are we the only people here that we just like lose at that point. I think we had made the second payment already, you know, because it’s a first day of the first month, they put down five thousand dollars already. Did they just take us for $10,000 and we’re going to drop us off in the middle of frog or not gonna where we are. You know, that was the Converse that was the first conversation we had there was like that tiny bit of skepticism. It’s almost like a team too good to be true. 00:19:15 – Sean: So yeah, that would have been a pretty ballsy. I feel like taking your 3000 would have been a safer way to scam you guys if that was going to happen. But like yeah, I can imagine at that point. So so what was jealous and you started in Prague He did the 12 cities 12 months. What was the route for you guys? 00:22:23 – Sean: And that ended in June of 2016. 00:22:26 – Trevor: Yep. Yeah. 00:22:28 – Sean: It’s about since then you still kept it going. You’re just this is your life now, right? 00:23:39 – Sean: I won’t even ask you how many countries you’ve been to I think you’re like a different level of nomad. Like how many times have you been around the world? I think is maybe a better question. 00:24:02 – Sean: forth And this rock that we’re on that’s pretty pretty impressive. Let’s talk about how did your job so you have that conversation with your employer your now, you know traveling how did things change if at all like did it were you able to deliver on that promise of hey nothing will change here we can do this or like how did you guys stay in touch? How did you keep on the same page throughout that whole process? 00:26:24 – Sean: so, I would imagine so if you’re not client-facing I would guess that makes it a lot easier to do this type of thing in terms. Like what Wi-Fi you need, if you’re checking code into a git repository. You can have very spotty connections versus if you got to be on a call with a client. You can’t have the Wi-Fi going in and out. 00:27:50 – Sean: So so communication-wise so slack and then occasional video calls and then do you guys do like any type of periodic like everyone comes together in one place? I think you You had a trip like that. I remember yeah. 00:29:50 – Sean: I can definitely like Echo your sentiments that the value of these in person meetings page Lee the company that I work for we do the same thing. It’s like slack is kind of all. Pervasive communication then we do a weekly stand up via zoom and then twice a year we’ll get together in person somewhere. And yeah Tiddly been us. I’m hoping they’ll consider Lisbon. Uh, that would make it very convenient for me cool, but let’s shift gears a little bit. I’m going to go kind of Tim Ferriss on you. I’ve got some questions. I want to ask so fitness-wise like you’re big into it. I’m big into it. What’s your routine? Like what how do you stay in shape? I don’t CrossFit as your thing, but like talk. Little bit about what’s your what are you into? For me and so when I started remote here, I was I was a big into running a broken leg side. I was like slowly getting back to the running but really that was that was kind of my focus of the time and uh when I got the southeast Asia, I like tried to go for a run and I you know, I completely hated it. And so I I decided like that was not for me anymore and I had to kind of re-evaluate what I’m gonna do for like a daily, you know active routine or you know, multi. We routine so I go back into weightlifting which is something I dabbled in the past, but it’s it’s not as you know, you know, when you’re doing it with friends, it’s not as much fun. Uh, and I that’s kind of why I’d given it up and so, uh, you know, that’s kind of how I like fell into CrossFit. It’s just this, uh, great like you working out with other people, you know, you’re challenging each other. Uh, I love the intensity that it brings into in like an hour hours with the time. Really something you do like three times what you two times a week and really good really good workout and it’s really important to like get those high-quality workouts and when you can on the road because a lot of your life is going to be consistent anyways, but I do like maybe once a month, uh, once every couple of months. I like to go like a pretty intense hike, uh, you know, usually whenever you get to a not get to new location or going to do part of the world, I Google things like what’s it all about in this country and then see If it’s a or worth doing or like what’s the, you know, tell us point in the city jog up to and so me and uh Mark Johnson regularly do that. We just find a hill, uh, the tallest point the city and you know, just run out that if we can you know how far we can make it a few times but he chose Hills ever bigger than we could figure that we can manage and then uh, definitely do like some serious hikes in between Clemson volcanoes do some you know, smaller mountains where you know, nothing too technical, but Uh, definitely a big part of what I’ve been doing finding mountains to climb and uh, and then on the side, I mean you got good to find things that you have fun doing that are also active surfing I picked up when I was in uh, Montevideo Uruguay was the first lesson I had taken I been on a surfboard before in various places, but never had really tried to serve but when I was much younger and so that’s really good work. Everybody and just a great active sport to sport to do then uh, when we hear a lot of us played soccer. So if we could try to do pick up games a couple times a month, uh also great thing to do. Um, and then I’m going to Big City I walk as much as possible if there’s something says a 30 minute walk 40 minute walk. Uh, that’s that’s usually all right with me and uh, as long as it’s not like too hot out and and especially if it’s a good walking City, My favorite walking City. I love walking around Lisbon so much last summer. Uh, when I service a great walking city Prague amazing City to walk around. I mean when that beautiful, you know, if you’re by yourself, but your headphones in let’s go podcast audio book something like that music, uh, just enjoy the street life, you know rack up those 10,000 steps a day. No problem. 00:34:20 – Sean: I just today bought three kites. So I haven’t had any of the the kites Trevor not about to kitesurfing down. Yeah, well you do regular surfing to right here in Bali now. Yep. Well, apparently you definitely have to come back to Lisbon. We need to go kitesurfing. 00:34:42 – Trevor: Yeah, we talked about it a lot last time every never made it out there now. 00:34:35 – Sean: Yeah, I’ll be dialed in by the time you get here. So we’ll be able to do it um on the subject of podcast. So you walk around see where the podcast on there is another 10 quick first question. But like what do you listen to regularly? You turned me onto the same Harris podcast, which is awesome. But are there any others that you particularly? Like why of why we do things uh, and they’re also extremely energetic and like minorly vulgar vulgar. Uh, they’re just, you know, good deal of podcasters that are entertaining talk about uh, interesting philosophical stuff. 00:36:47 – Sean: I love the name very bad wizard. 00:36:49 – Trevor: Yeah great name also. 00:36:54 – Sean: What about um, what about uh, like is there any gear that you can’t live without at this point? I know you have this good headphones. Like what do you use on there? 00:41:03 – Sean: yeah. This is this is I had my footprint down. You know, I’m not I’m not down to like one piece of check luggage and you’re just like next level like nope. I’m taking showers in my clothes. 00:41:13 – Trevor: I mean it’s when there was a need like, uh, I started doing it and I had never thought of my clothes like that before but as soon as I started to just like, oh, no, I don’t need to go to a washer and all my clothes are clean all the time. So that’s nice. 00:41:30 – Sean: Yeah, that’s a great hack. Um, actually the gal who is the program leader for the last remote year group that was in Lisbon Excelsior group Catherine beach was telling me about this method. I forget what she called it. She’s awesome and she’s talkin about. Oh, yeah. You just take a shot on your clothes never before. What do you? Okay? So here’s a question. I’ve always had um, and I had a brush with this like now I have the remote ear Community again being that I’m in Lisbon and there’s you know, this is one of their main, hub so there’s constantly cycling through a group so I have that kind of community again. Did you when you left remote year and you’re now traveling did you find it hard to meet people or was there like any loneliness involved in that or how you coped with that? I guess. 00:46:11 – Sean: Cool. I think this is probably a good time to wrap up but I want to ask one more question. So my buddy had this blog that was called bad decisions make good stories and tell me it was there any good story or a bad decision that you’re willing to share on the road? 00:46:30 – Trevor: I’m I’m really bad at this kind of recall. Uh, but that’s let’s see. I’m sure there are many been decisions. I know so so these these hikes that I like to go on. Uh, when I was over here, I would usually invite you know, whoever I thought was was like capable of doing a hike and there was one uh, when we were in Vietnam and you know, this is I went through the process of what’s tell us about in Vietnam, and it’s called Mount fancy. It’s like f n SI p and it’s in the South Valley region. That was really beautiful region Northern be now and I got a crew of our group about 12 or 13 of us together to go up there. And you know, I booked through a shady looking website. It’s pretty it was really cheap, you know, maybe 100 hundred dollars a person for like two nights two days climbing all meals included and uh, I didn’t read the fine print. I thought it was, you know, Jackets, you’re fine. So we spend a day of uh a day of hiking up to the mountain which was really beautiful and we got to uh, the place we’re going to stay that night and uh upon arrival the sun setting starting to get cold or maybe 12,000 feet up 10,000 feet up and uh, they show us to where like we’re supposed to stay that night and they opened the door. Uh, there was a wooden platform. That’s that could fit about 12 people like if you’re literally sardines next to each other and it’s there’s no blankets. There’s no sleeping bags. There’s no pillows that was not included in the trip. And so as the temperature is dropping and we’re getting colder and colder, uh as a nice going on and there’s no room and like no Comfort. I like had brought this like level high level of misery on everyone. We spent I think 12 hours and 12 hours and that’s like 5 p.m. Or 4 p.m. To like 5 a.m. Trying to just like wait out the cold until I got warm enough so that we can go some of them out and like get off this thing. And like that was like it was maybe the most miserable night of sleep for all of us that we’ve ever had. I mean most people didn’t even sleep. You know, you’re just freezing cold, you’re not comfortable all year like packed in and you’re like have to be back then like get anymore. That’s the same time. It’s not comfortable. There’s just it was it was brutal. I you know, everyone’s trying to be as chipper about it and non-negative as possible, but it was really hard to be. Uh, so that was one of the uh, I mean it was it was like a kind of you know organizer thing. I’d like luckily the they didn’t say anything to my face about like f or anything but I’m sure they feel so I was we all look back on that finally now, but it was probably the worst night asleep of many rare last though. 00:49:20 – Sean: That sounds like what a Trish calls level 3 fun. That’s like exactly maybe the origin of level 3 fun there. 00:49:29 – Trevor: Yeah, we had this uh when we were sitting around in we had uh snake wine which they have in Vietnam. Like they did like marinade snakes and in the liquor and it was maybe the worst tasting liquor that I’ve ever had just absolutely brutal. But when you’re in conditions like that, you’re just like well, I’m gonna sip it anyways because can only get better than what’s going on here. I’ll just you know, hold and down it but yeah, cool. 00:49:55 – Sean: Well, I think we’ll probably wrap it there. Um, I so I am not going to promise anything, but I’m going to try to make it so people can actually submit questions video questions. And I don’t know if you’re open to maybe a follow-up thing, maybe a month or two down the road. But if we get enough video questions and people want to ask you questions or you’re maybe to do like a follow-up episode. Sure. Yeah cool cool man awesome any parting thoughts for someone who’s actually listened this far and still listening to us, uh considering doing the remote nomadic thing. 00:50:30 – Trevor:Yeah, I mean if you’re capable like I was uh, like really I mean really take a look because I just didn’t give it enough of a look and luckily remote was there as an Infidel and really try to see if they can fit for you and and taking at least, you know, three months six month trial of it. Uh, it could be game changing could be life-changing for you. So I say remote here was the best year of my life and since then it’s, you know, pretty much gotten within the same better so nice. 00:51:00 – Sean: And thank you so much for spending the time. Come back to Lisbon. Let’s go kitesurfing soon. I take it. All right, that was my interview with Trevor gerhardt you have any questions for Trevor? You can leave them in a comment. If you’re considering doing remote year or a program like it you can get up to $300 off select programs about simply by applying through a referral link. You can do that in the footer. Just go to Nomad podcast. Know if you do it by direct to the programs in all phi’s your eligibility for that. So make sure to apply via our referral form. No matter podcast is supported in part by Nomads prep and Online Academy that teaches you everything you need to know about taking your job on the road. So you can crush it abroad and roll the day and no map prep and get your first four days of training completely free. No map take your job on the road and Take On The World lastly if you haven’t already done, so add your email the bottom with no map podcast. We’ll send you notification as future episodes are released and next we have Paige talking to us. She’s going to tell us about her adventures and building a start-up while traveling the world until next time. It’s a big world out there out there and explore it. I’ll see you on the road. No, man. You just heard was recorded with anchor if you want to make your own download the Android or iOS app completely free from anchor anchor. Perfect timing on all accounts. Living in a city that I didn’t want to fully establish roots in, had a steady job with a distributed team, 27 years old and financially stable, had dreamed of the digital nomad life but never decided to make the leap on my own. Remote Year was the perfect impetus to get started. Business growth has been mainly just progressing as a programmer — learning new tools, frameworks, architecture design, and just building away. I haven’t had the desire to spend any more time in front of my computer than I do for work and work has been more than satisfying. 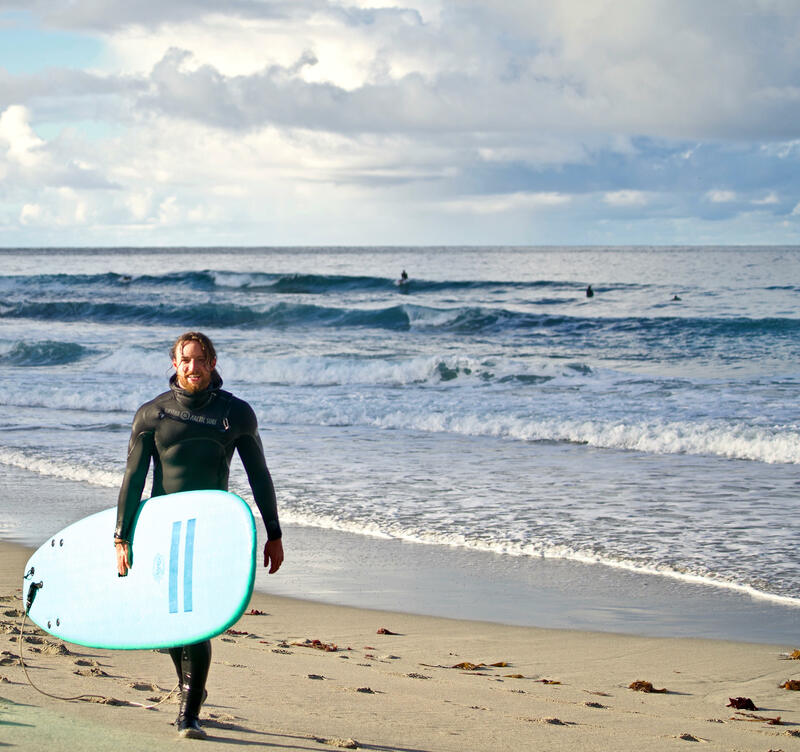 Personally, I’ve wanted pick up more active hobbies like surfing, kiteboarding, climbing and learn a second language. The second language part has not come true. Haven’t spent enough time on my own without fellow translators in Spanish speaking countries to really pick it up as strongly as I would’ve liked too. There were a ton of shared high-points during Remote Year and the first few months of travel, having a hard time believing that this was my new reality. But something I had looked forward to for a very long time was the first day I arrived in Switzerland for the ski season (https://www.instagram.com/p/BPC4LcNB8oS/). We rented an epic ski-in/ski-out chalet in a tiny Swiss village and for three months spent the mornings skiing the Alps and the afternoons working from our massive wood dining room table with overlooking the Sion valley. I had always wanted to spend a season skiing but never wanted to ski-bum or wait until I had enough money to “retire” and do it. The very wealthy owner of the chalet was pretty jealous — by the end of the season we had spent more nights in his prized home than he had in all the years of ownership. So what if he’s a millionaire? Low Point? Realizing I hadn’t seen my Uncle Eddie in two years when he passed away last fall. Every so often the reality of how often I actually see family and long time friends sets in. A great Wait But Why post articulates this point well: https://waitbutwhy.com/2015/12 /the-tail-end.html. Recently, I’ve made it a point to not just “see” my family but actually go on trips with them individually. Not everyone affluent lives in a big city. Pollution and trash. I missed the grime of cities back in the 70s before the US cleaned up it’s act. But worldwide many cities have awful air quality for many months per year. I spent a month in Hanoi at unhealthy air levels and it gets seriously depressing not to be able to see the sun. I get to leave for cleaner pastures but a lot of the residents don’t have that option. Handling of trash and recycling in less affluent countries can be seriously depressing. There’s no education, facilities, or enough of a desire to handle it better. Trash floating up to you while surfing or scuba diving over and over can bring you to tears. We’ve traveled together in smaller groups pretty extensively, have an active WhatsApp group and are planning a reunion of sorts in France this summer. If you have a stable job that allows for remote work and don’t have a lot of Digital Nomad friends then there is no better way to meet interesting people that want to live that lifestyle. It created an upper bound of what’s needed monetarily. I lived in a ski chalet in Switzerland for the season and could do that every year. Afterwards I flew to the carribean and kite boarded for a month. My salary is less than 6 figures per year. How much more money do I need to make? Washing underwear in the shower. You can get away with two pairs of underwear and two pairs of socks if you just wash them every time you shower. Just ring them out to dry and they’ll be good by the next day. My normal rotation is three pairs due to the amount of sweat I generate and showers I require. Yes, my Merino wool clothing. CrossFit. It’s easily the most intense hour of exercise I can spend on a regular basis. Add in the communities world wide and it’s a great way to meet people and stay in shape. 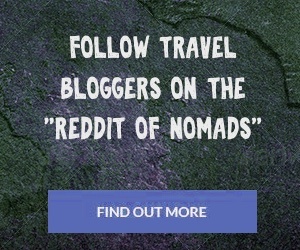 NomadList.com is amazing for tons of things, finding places to go, track your trips, and communicate with a traveling community. I read tons of random traveler blogs — Tynan’s Gear posts (http://tynan.com/gear2018) and Tim Ferriss’s How to Travel the world with 10 pounds or less (https://tim.blog/2007/07/11/how-to-travel-the-world-with-10-pounds-or-less-plus-how-to-negotiate-convertibles-and-luxury-treehouses/) are good places to start. Party a bit less, it’s easy to get caught up in the excitement of each new location.